In New England, this as common and easy as spaghetti and meatballs. 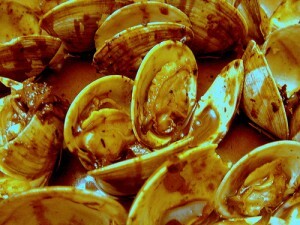 Also referred to as steamers, this recipe can easily liven up any dinner or appetizer. We hope you enjoy these clam recipes as much as we do. 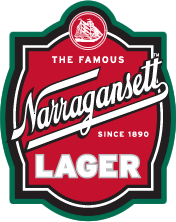 And always pair with a cold Narragansett beer. Wash little neck thoroughly in cold water; drain and place in 10 quart stock pot. In a medium bowl, mix olive oil, Gansett, garlic, pepper and parsley; mix well. Pour mixture over little necks and steam until little necks open. Serve with plenty of bread.